L ong known for its pristine beaches, lust-worthy weather, and full-throttle nightlife, Miami is fast becoming known for its trending food and drink scene. A cosmopolitan city that's often called the gateway to the Americas, its rich South American and Caribbean influences can be seen in the music, language, food, and drink. Here you'll find cultural mash-ups of American favorites with burgers, coffee, and even pie taking on tropical notes. With close proximity to both the Atlantic Ocean and the Gulf of Mexico, find plenty of local seafood and wash it down with a few local craft beers from Miami's brewing scene that seems to increase almost weekly. While there's much to explore, including a vibrant craft cocktail scene, here are eight unique foods and drinks that you can't miss while you're in Miami. Think of a frita as a burger with a Cuban twist. The standard canvas is a ground-beef patty seasoned with paprika, cumin, and other spices and cooked on a flat-top griddle. It's then placed on a Cuban roll and topped with diced raw onions, ketchup, and potato sticks. Though every frita shop offers embellishments like cheese, plantains, chorizo, or a fried egg, it's best to go traditional. This salty, spicy sandwich is so good, you might never go back to your tailgate version again. Back in 2010, known burger maven and then-leader of the free world Barack Obama made a surprise appearance at this little frita joint, ordering seven fritas and a soda. 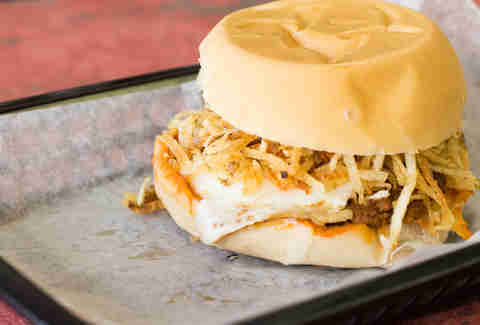 Today, you can scarf down a traditional frita ($3.50), or a doble with twice the meat. For more than 40 years, people have been clamoring for El Rey de las Fritas' beef and chorizo patties, topped with a special sauce. At $3.25 each, it's easy to sate your hunger without breaking the bank. 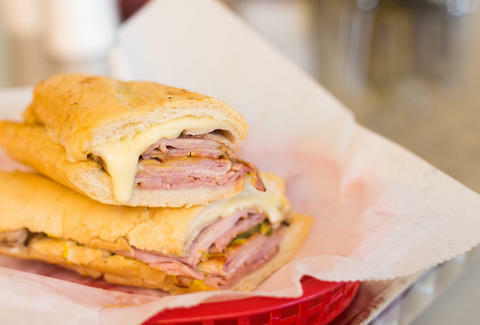 It's hard to improve on classics like a ham-and-cheese sandwich, but Cuban workers in Florida managed to do just that when they invented the "Cuban." Taking the key ingredients, adding roast pork, pickles, and placing it all inside a soft loaf of Cuban bread smeared with mustard would be wonderful enough, but the coup de grace is heat-pressing it until flat, warm, and toasty. That butter-spackled tastiness is lunchtime nirvana in your hands. This bustling cafe is likely the most democratic restaurant in Miami. Located on the cusp of Miami's trendy Wynwood neighborhood, Enriqueta's at lunchtime sees an unlikely mash-up of construction workers, abuelas, and hipsters. The Cuban sandwich is already overstuffed, but for extra pop, ask for the Cuban with croquetas. From its opening in 1935 to its heyday in the ’50s, Ball & Chain was a jazz venue that welcomed the likes of Billie Holiday, Count Basie, and Chet Baker. The venue remained closed for decades before reopening a few years ago. Today, the lounge, located in Little Havana, offers live music and craft cocktails. For a twist on the classic, try the Cuban spring rolls with a mustard aioli dip. A typical day in Miami is about 25 hours long: dancing all night, sunning through the midday -- with a break between to scratch out a living. What legal substance could fuel such a lifestyle? Cuban coffee: sludgy black rocket fuel served with a liberal heaping of sugar. 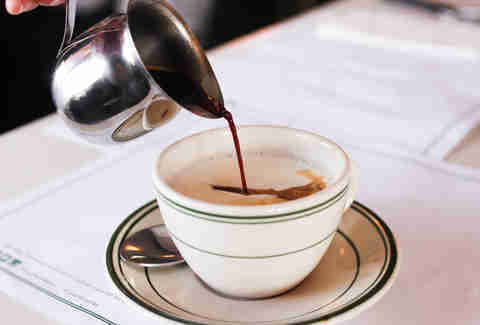 It's so potent, your coffee comes alongside smaller, thimble-sized cups so you can share your caffeine dose. Faint of heart? Take it with steamed milk for a rich cafe con leche. Either way, pair it with a pastelito -- a flaky pastry filled with fragrant guava, tangy cheese, or ground beef. This venerable Little Havana institution is the heartbeat of Cuba in Miami. When would-be presidents and senators want to get out the vote, they come to this restaurant, fashioned after the famed palace of the Sun King. And, when Fidel Castro died, it is here that the Cuban exiles living in Miami came to clang pots and cheer. Pro tip: Instead of dining inside, head to La Ventanita, the restaurant's window service, and drink your cafecito with the locals. Since 1982, Mary's has been giving Grovites a place to wash their clothes. Since 2001, however, that wash-and-fold has also come with a place to grab some food and a café con leche ($1.35) -- which comes in handy when you're doing laundry at 3am. The place is open 24 hours a day, and on any given weekend, you can spot after-hours clubbers sobering up on sandwiches and croquetas. There's also a display behind the counter offering items such as cigarettes and aspirin -- must-haves for any late-night denizen. While other cities have pretzels or cheese curds, Miami's official snack is the croqueta -- golden cylinders that resemble the fried cheese sticks available at every brewpub in America. One bite, however, makes you realize that this isn't your average bar food. Inside the golden-fried shell you'll find a creamy béchamel laced with ham, cod, cheese, chicken, or other goodies. Croquetas turn up everywhere in Miami, from gas stations to five-star restaurants, with the best being crisp on the outside and soothing on the inside. 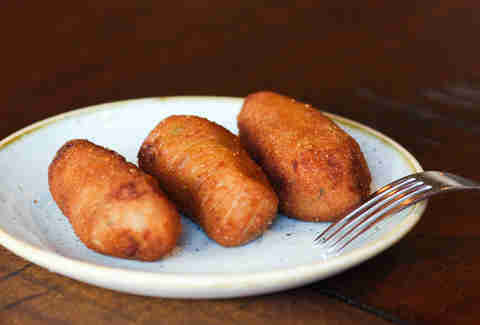 Islas Canarias has been making croquetas since the 1970s.Available in chicken or ham, at $1.06 each, get a few of each. People line up at the counter for their afternoon snack, so be prepared to queue up. No worries, because that first bite is worth it. Come here for innovative interpretations on classic dishes. Its croqueta, for one, is a take on a classic lox and bagel. The lox croquetas ($14) are filled with Faroe Island smoked salmon and creamy cheese -- New York meets Miami in compact form. The one downside? Sunday brunch is the only time you can get them. It has a long way to catch up with Portland or San Diego, but in the past few years, Miami's craft beer scene has blossomed from one or two small breweries to a real movement. The epicenter is the artistic neighborhood of Wynwood, where you can take a self-guided beer tour and sample brews made with local ingredients. Look for dark porters that take notes from Cuban coffee and light, effervescent beers filled with tropical fruits grown just a few miles away. Founded in 2013 by the father-son team of Luis C. and Luis G. Brignoni, this brewery has already amassed several awards, including a gold medal at the Great American Beer Festival for its Pop's Porter. The taproom (which doubles as a gallery of rotating local art) serves staple brews like Wynwood IPA and La Rubia blond ale from custom-made spray-paint can taps -- a nod to the neighborhood's famed graffiti artists. 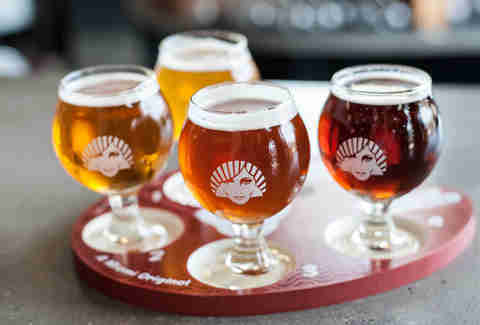 On weekends, $10 will get you a guided brewery tour. This project of Alchemy & Science Brewing opened as a state-of-the-art brewery and social hall in 2015. The hall boasts a large indoor/outdoor seating area, happy hour specials, and live music. Standout brews include Rica, a wheat IPA, and Stiltsville, billed as a Miami-style hoppy Pilsner. Step into this Star Wars-themed taproom and enjoy brewer Johnathan Wakefield's signature Florida Weisse beers. Tart and fruity with alcohol, they're perfect for pounding on a hot, sultry day. 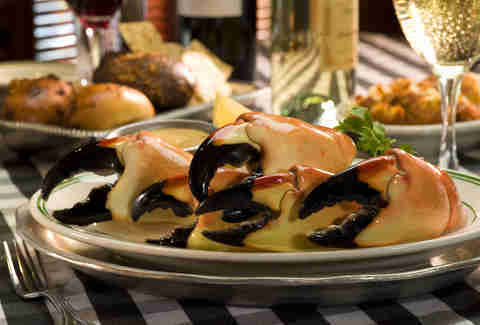 Six months a year, Miamians go insane for stone crab claws. Harvested in the wild from October 15 through May 15, only one claw is taken from each crab, which is then set free for its claw to regenerate, which takes about a year. The claws are steamed on the boats then delivered daily to Miami's best seafood markets and restaurants. The sweet meat is served chilled with a savory mustard sauce for dipping. Miami Beach's most iconic restaurant, Joe's Stone Crab, has been open since 1913 -- making it actually older than the city it calls home. The restaurant closes during the summer months and when open takes no reservations, so be prepared to wait for upwards of an hour or more for a table. Once seated, though, you'll be treated to Old World service by waiters in dinner jackets. It's also been a favorite of US presidents, gangsters, and the occasional celeb -- don't be shocked to see Martha Stewart or Cindy Crawford at the table next to you. People are so obsessed with Joe's Stone Crab that a few have requested their ashes be scattered on its grounds. If you like your seafood with a view, check out Monty's Sunset, directly overlooking the Miami Beach marina. Stone crabs here are budget-friendly and, while the prices reflect the market, you can expect to pay far less for claws. During happy hour, medium claws can run as low as $5 each. 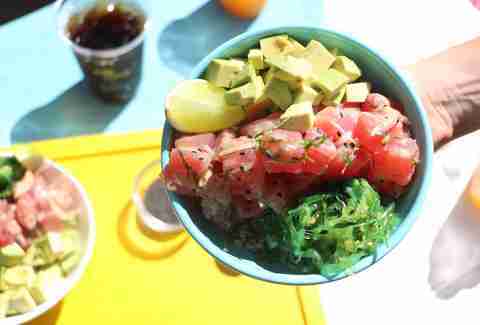 Miami's access to fresh seafood and its deep South American ties make ceviche a natural here. Its base is a panoply of sea creatures -- fish, shrimp, conch, octopus -- marinated in spices and fresh citrus, making this the perfect meal for body-conscious Miamians who relish the constant balmy weather. Partners Sam Gorenstein and Roger Duarte opened the first My Ceviche in a tiny room just off a Miami Beach hostel, serving the freshest fish at bargain prices. They’re now up to six locations (including at Miami International Airport), offering wild-caught seafood in burritos, as ceviches, and in bowls. If you have food ADD, try Jaguar's ceviche spoon sampler -- a roulette wheel of six different ceviches served in oversized porcelain soup spoons. Sit at the bar or go al fresco and people-watch while you savor ceviches made with shrimp, octopus, and scallops and drink pitchers of house-made sangrias. This iconic treat gets its unique tartness from Key limes -- grown primarily in the Florida Keys and Miami-Dade. 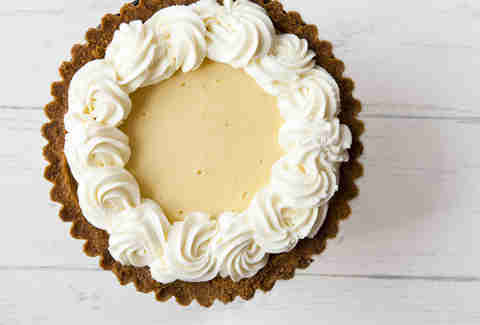 Beyond the basic recipe (lime juice and zest mixed with eggs and condensed milk) there's much debate over how the pie is topped -- with whipped cream or meringue. When Derek Kaplan isn't saving lives as a real, honest-to-goodness Miami firefighter, he's making the city's best pies in his tiny Wynwood shop. Pies are available by the slice or whole in every conceivable flavor, but his mile-high Key lime pies are the star attraction. Each bite is the perfect blend of sweet and tart, making it refreshing with a bit of pucker-worthiness. No less than Oprah Winfrey called Icebox Cafe's cakes the best, and that should be reason enough for you to flock to this industrially designed cafe and cake shop. But don't take the queen of media's advice, and instead try a slice of deep-dish Key lime pie for yourself. A slice seems a mile high, topped with a cap of fresh whipped cream. It's literally pie in the sky. Laine Doss is a food and travel writer based in Miami. She is the food and spirits editor for Miami New Times and has been featured on Cooking Channel's Eat Street and Food Network's Great Food Truck Race. A native New Yorker, when she's not running a marathon, she's traveling the world in search of the perfect cocktail.